We specialize in producing Manac vans and flatbeds to your exact requirements. Dockside Trailers is proud to represent a variety of trailer product lines. We specialize in designing trailers to your exact requirements. We serve Ontario and markets throughout North America. 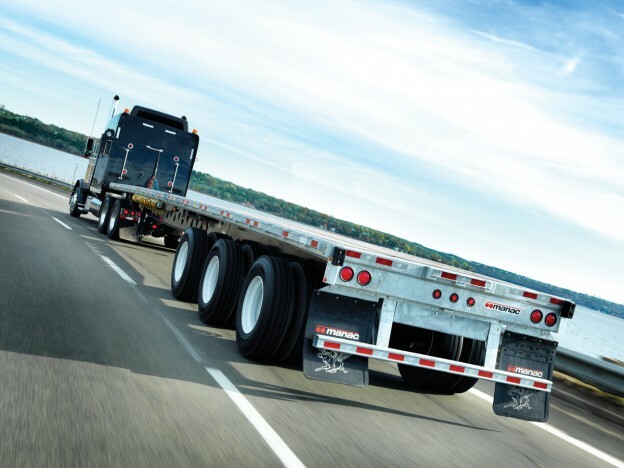 Manac Trailers is the largest manufacturer of custom semi trailers in North America. Created in 1966 in St. Georges, Quebec, they specialize in a wide range of flatbeds, vans, dumps, heavy equipment lowbeds, standard forestry and off-highway semi-trailers. Manac is committed to keeping pace as a forerunner in the industry; they concentrate on innovative design and technology, determined to offer superior performance. Manac provides its customers with top quality products and excellent service. Constant community outreach and collaboration between skilled staff members ensure that Manac is a leader in the custom trailer industry.